“Skills in specialist paper making and pulping processes to meet compliance requirements” has been identified as a priority skill area in the 2017 Pulp and Paper Manufacturing IRC Skills Forecast (see page 20). Skills Impact and the Pulp and Paper Manufacturing Industry Reference Committee (IRC) will take this project through a process that adheres to the 2012 Standards for Training Package Development. This project will review units of competency from the PPM Pulp and Paper Manufacturing Training Package with regard to occupational health and safety, so they reflect current industry skills standards and practices and all job functions are accurately described. Scroll down to view the list of units that will be reviewed in this project, and the various skilled activities they cover. There are many and varied health and safety risks and hazards pertaining to pulp and paper manufacturing sites, including hazardous chemical use, extreme heat and steam, and use of large machinery. 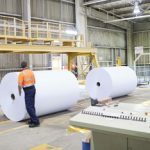 The project will update specific skills and aspects with the current workplace health and safety requirements for a range of specialist paper making and pulping processes. Many pulp and paper manufacturing sites are recognised by Worksafe Australia as major hazard facilities and it is crucial that the training package reflects the requirements set out to maintain that licence, and in other legislation, regulations and codes of practice. The project aims to review and improve forty (40) units of competency from the PPM Pulp and Paper Manufacturing Industry Training Package to update specific skills with the current workplace health and safety requirements as guided by industry consultation. The project includes developing 10 skills sets for specialist operators. A Technical Advisory Committee has been established to provide technical input to the review and development of the skill sets and units. Below is a list of the current units that will be reviewed as part of this project. Click on the unit name to view the existing unit on training.gov.au. Skills sets will be developed for specialist operators, as guided by industry consultation. 40 Units of Competency are being reviewed against jobs roles and procedures relating to Major Hazard Facility (MHF) licensing requirements. The drafting of up to 10 skill sets, which will be the first skill sets to be included in the PPM Training Package. Draft materials will be available for consultation in the near future. Thank you to all those who provided feedback on the draft skill sets and units of competency. The drafts were made available on the Skills Impact website for broad stakeholder review from 4 – 23 May. Feedback was sought on whether the draft skill sets and units reflect the current industry skills standards and practices and whether all job functions are accurately described. Feedback will inform the work on the final drafts which will be available for industry validation in late May 2018. The ten new skill sets and 40 revised units were developed in consultation with a Technical Advisory Committee (TAC), made up of workplace experts and industry, with input from their networks also. To view the membership of the TAC, click on the ‘Development’ stage menu option above. You can view the original, current units that are being redeveloped as part of this project under the ‘Project Plan’ stage menu. Thank you also to those who also provided feedback on these documents, under these previous stages of the project. Your feedback helped to shape the content of the draft skill sets and units listed below, that were available for broad industry review and feedback. These new skill sets have been drafted for specialised operators. They were developed in consultation with a Technical Advisory Committee (TAC). Skills and knowledge required for an event where the workplace is a Major Hazard Facility. Requirements for a learner to operate or interact with a plant that is deemed to be of high risk, under regulations, and to include licensing requirement statements. Deletion of units that directly relate to the operation of high-risk plants and equipment, and replacing them with the relevant high-risk licencing units where appropriate. Skills and knowledge required for learners to participate in roles that include the use of dangerous goods and hazardous chemicals. Skills and knowledge required for lock out, tag out, plant clearance, the use of permit systems and the correct use of Personal Protective Equipment (PPE). 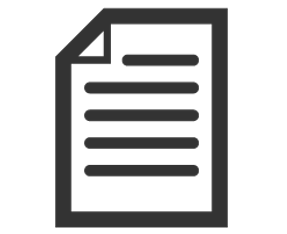 Knowledge Evidence requirements for Workplace Health and Safety (WHS). Possible replacement of the PPM boiler units with the new Boiler High-Risk Work Licence (HRWL) units. Thank you to those who participated in the validation process for the final draft qualifications, skill sets and units of competency. The final drafts were made available on the Skills Impact website from 30 May – 22 June 2018. The final drafts will shortly progress through to the Finalisation stage of the project, which includes quality assurance of the documents and review and feedback from the State/Territory Training Authorities before, the final drafts are forwarded to the Pulp and Paper Manufacturing Industry Reference Committee (IRC) for consideration and sign off. They will then be submitted to the Australian Industry and Skills Committee (AISC) to consider and approve for publication on training.gov.au. Validation means checking and confirming that the documents are logical and factually accurate. They have been improved so that the final draft qualifications, skill sets and units accurately reflect the current industry skills standards and practices and so that all job functions are accurately described. Prior to the Validation period, the draft skill sets and units of competency were made available on the Skills Impact website for broad stakeholder review, under the ‘Drafts Available’ stage from 4 – 23 May. Two items of feedback were received during this stage and were considered, alongside feedback from a Technical Advisory Committee (TAC). A description of how this feedback was considered and applied in the final drafts can be downloaded via the ‘Download Summary of Feedback, Responses and Actions’ button. Throughout the validation stage, two proposed changes were reconsidered as a result of industry feedback. These related to the workplace health and safety unit in the skill sets, and the replacement of the boiler units from the PPM Pulp and Paper Manufacturing Training Package to boiler units from the MSM Manufacturing Training Package. The feedback was that PPM units needed to be retained to meet some manufacturing sites in the industry. The ten new skill sets and 40 revised units were developed in consultation with a TAC, made up of industry experts, with input from their networks. To view the membership of the TAC, click on the ‘Development’ stage menu option above. As a result of feedback received in the ‘Drafts Available’ stage, six qualifications were made available for industry Validation. During the validation stage, industry stakeholders requested the retention of the PPM Boiler units. These will be reinstated into the qualification elective banks. During the validation stage, industry requested a revised workplace health and safety unit within the skill sets. Feedback out of the validation process was that the skills sets should contain the unit PPMWHS210 Participate in WHS processes, rather than PPMWHS310 Contribute to WHS processes. As a result of consultation, the knowledge evidence relating to workplace health and safety has been revised to be more detailed and to specify the requirements in this area. This includes such aspects as handling hazardous substances, plant clearance, and operating in a major hazard facility. The following units were proposed for deletion, however, in the validation stage industry stakeholders requested the retention of the units to meet the needs of some manufacturing sites in the industry. On the 9 October 2018, the Australian Industry and Skills Committee (AISC) approved the Case for Endorsement for the updated and revised qualifications, skill sets and units of competency, along with a Companion Volume Implementation Guide. The final qualifications, skill sets and units of competency are now published on training.gov.au, which means they are available for use by registered training organisations (RTOs). They are published within the PPM Pulp & Paper Manufacturing Industry Training Package version 2 (published on 24/10/2018). Click here to view the training package. This project reviewed pulp and paper units of competency with regard to workplace health and safety requirements, including major hazard facilities. There are many and varied health and safety risks and hazards pertaining to pulp and paper manufacturing sites, including hazardous chemical use, extreme heat and steam, and use of large machinery. For further details about the development of this project, please click on the green project arrows above. A Technical Advisory Committee (TAC) that was made up of industry experts guided, contributed to and supported the outcomes of this project. The draft qualifications, skill sets and units were developed in consultation with the TAC, with input from their networks. The drafts were then made available on the Skills Impact website for broad stakeholder review and feedback, from 4 – 23 May 2018, and again, between 30 May – 22 June 2018, when the drafts were revised for validation. The alignment of the boiler units to High Risk Work Licences was considered and the licensing statement was modified to clearly show where the equipment being used required a High Risk Work Licence, that the boiler unit from the MSM Manufacturing Training Package should be used. As a result, 6 of the 7 pulp and paper qualifications were also revised to include the MSM boiler units into the elective banks as imported units. During the validation stage, industry stakeholders requested the retention of the PPM Boiler units. These were reinstated into the qualification elective banks. The Companion Volume Implementation Guide contains key information to help registered training organisations (RTOs) implement the units, skill sets and qualifications, including the key work and training requirements in the industry; regulation and licensing implications for implementation; pathways advice; industry sectors and occupational outcomes of qualification; and advice on workplace health and safety implications.